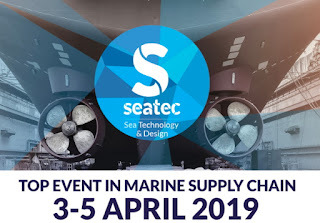 Seatec, the exhibition of technology, components, design and subcontracting applied to yachts, conceived and organized by IMM CarraraFiere, hosts its 17th edition on April 3-5, 2019. NDAR will exhibit at Seatec 2019 at two booths: D857 and E1107. Visitors can learn about the latest updates and new features of leading marine software products such as ShipConstructor, Express Marine, GHS, MAESTRO, NavCad, ShipWeight, Orca3D & Orca3D CFD, AutoFEM, and Rhino. Posted Mar 14, 2019 by Delia Robalo on Rhino News, etc.